SORRY NOW SOLD!! OVER £10,000 OF OPTIONAL EXTRAS!! STUNNING CAR!!! WOW WHAT AN IMMACULATE CAR THIS IS!! 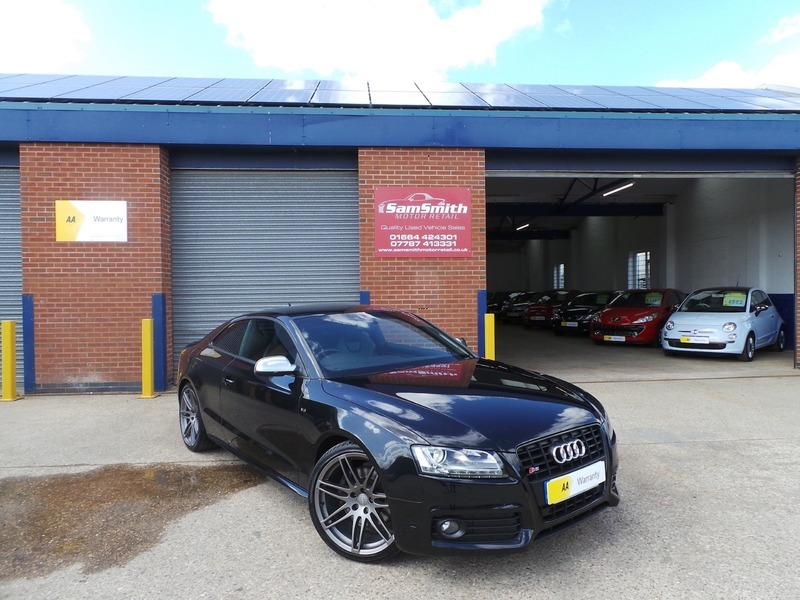 We are proud to offer of sale this stunning Audi S5 with its amazing 4.2 litre naturally aspirated V8 engine. Immaculate car with 20" alloys finished in a matte grey, B@O sound system, satellite navigation, adaptive chassis control and much more.